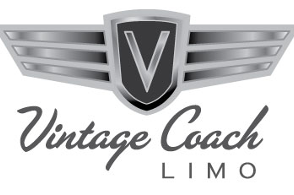 From a night on a town to your wedding day, Vintage Coach Limo delivers the experience you desire. Looking for a fun, and stylistic day trip or night on the town? This may be the choice for you! Vehicles from post-war were built at record pace in the late 40s to early 50s to fulfill the demand of returning GIs. You will be sure to impress with comfort and care as you enjoy a unique journey in a car that exudes fun of an era that produced the economic leadership for the next 25 years of American automobiles. Our Entry Point is our 1949 Chevy Fleetline 2-door sedan. With ample room for up to 4 passengers, "Pops" is ready to deliver! From 1936 to 1948, GM's Cadillac division built some of the most recognized cars in the world from the Clark Street assembly plant. Powered by the infamous 346 cubic inch flathead V-8, these Cadillacs were possessed both style and power; truly the epitomy of the phrade "Standard of the World." Our standard collection includes these models. When you want to create a unique vision for your special event, it's best to start and enhance with "The Standard"
Currenly available is our 1948 Cadillac Sixty Special Sedan, "Johnny". A truly remarkable and the first year of the Cadillac Fin is on this beauty getting its inspriration from the WW2 P-38 plane that help lead the allies to victory. Johnny is an automobile that will turn heads anywhere you go. The pinnacle of styling, luxury and fun combine in this collection. These are the most sought after cards in the collectors market and for special events. Unique in both styling and production, these are the automobiles that are never overlooked at any affair. Combine this collection along with The Standard to create an entrance like no other. Cars in this collection never had more than 1,000 models produced; most times less than 500, and often, less than 200. Truly rare and unique focusing on the pinnacle of luxury American Automobiles. First in class, Vito, our 1940 Series Seventy-Five Fleetwood accomodating up to 4 passengers. With US involvement in WW2 nearly certain, production to military tooling was becoming eminant along with the average American saving money led to less than 1,000 total 75 Series produced of which only a few hundred could have been the 5 passenger sedan offered in Vito. Without a doubt rare and the last of the infamous art deco styling from Cadillac Motor Division. Second in class, Betty, our fun 1941 Cadillac Series 62 four door convertible sedan. With only 400 produced Betty represents the marquees last mass produced convertible sedan. Sure to please, Betty is great any warm day!